THE CLOSING DATE for applications to join An Garda Síochána is in two days’ time so if you’re interested in joining new recruits this year you had better get a move on. Some 600 new garda positions are to be created this year with the roles being filled in conjuction with the public appointments service. Garda Commissioner Nóirín O’Sullivan has previously said she hopes the trend of large numbers of women joining continues. “When I joined An Garda Síochána in 1981, I was one of a tiny minority of women,” she said in November. She also said she was hopeful that this intake of recruits be as diverse as possible to reflect the country’s changing communities. 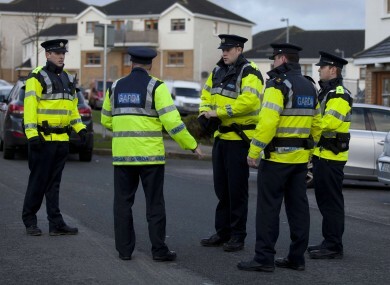 When the moratorium on garda recruitment was lifted in 2013, over 24,000 applications were received for the 300 positions and demand for this year’s positions is expected to be just as high. The closing date for applications is 6 January and anyone interesting in joining the force can do so online. Email “Want to become a garda? Applications close this week ”. Feedback on “Want to become a garda? Applications close this week ”.